At that point simply stick the camera to your vehicle using the built in magnet base OR the Velcro we supply. Then all that is left is to turn on the monitor. It really is THAT SIMPLE! It's Plug and Play, off you go with a backup camera that will last hours and hours. 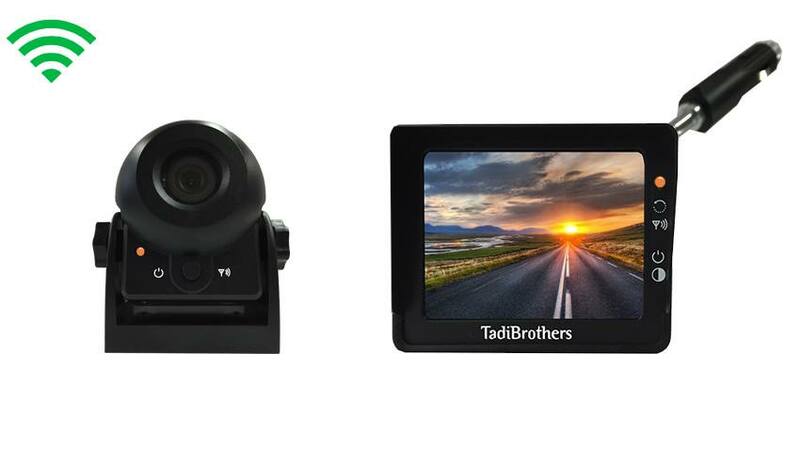 The crystal clear 3.5” LCD Monitor is a perfect addition to any driver that needs assistance backing up or hitching up. See the whole world behind you in rich colors. It is also an LCD monitor so it is very light as well as thin. In addition, it comes with a cigarette lighter adapter so its easy to connect. Super Easy Installation. The Hitch camera has a metal housing to protect it from pebbles or anything else. This is a great choice for a simple to use camera. It has been regularly used in cars, vans, buses. This camera can take a direct hit from a rock and it will still work like new. Its has also been very poplular with hitching. You can simply point it at your hitch, hitch up, and move on! This camera is also a wireless camera so there is no need to run cables through your Car or RV. Backup Hitch camera, Mount it anywhere! This is the best magnetic wireless hitch backup camera system is for those who want a quick simple solution to hitching or seeing behind them and removing the camera. If you are looking for a system to use while driving down the road at all times we have those as well.